Youth using ICTs to earn incomes in running agricultural farms. Two wonderful self-paced online and free courses for young farmers are available: Social media for development on the Food and Agriculture Organization (FAO) platform as well as Sustainable Agricultural Land Management on Coursera. The Social media for development course covers topics on web 2.0, social networking sites and Communities, Blogging and Microblogging, Online Video and Image Sharing and more. These are very crucial skills today if one is to reach and communicate effectively with the buyers of their products. Above all, these courses are also an opportunity to network and share experiences with people from different parts of the world. Click here to visit the Social media for development course and register for the course. Visit and register for the Sustainable Agricultural land management course here. The courses are delivered in English with the material available in text and video formats. Register and take the courses whenever you can - don't worry about missing the deadline to register. The material will still be available even after the course is concluded. Many people save up to buy lots of food, gifts and clothes during the holiday seasons. The holiday seasons are such as: Christmas holidays, Easter season, Muslim holy days (Idd Mubarak, Idd Aduha), Uganda Martyrs day. These are some of the most celebrated days in Uganda. These should be the days, for a youth in farming, that should be the most profitable seasons. Why? Because, people are happy and they are in super high gear of buying lots of food or agricultural produce. They have saved the money to buy the best food for themselves and their families. Often people are looking for the biggest turkey, duck, chicken or biggest bunch of bananas that they can find. As this video shows, agriculture is not mentioned at all by any of these young people. So we ask ourselves, why do youth in Uganda or Africa, in general, do not like agriculture as a business or career? Why do youth hate agriculture so much? Here below are the reasons we came up with, join in and leave your comment below. Josephine Kiiza, director of St Jude Family Projects at Busense, Kabonera subcounty in Masaka, is of the most successful farmers in Uganda. A newvision article published in october 2005, mentions that Josephine Kiiza earns Uganda shillings 50 million ($25,000) per month from her 3.7 acre farm. She farm has She probably earns more money now. This from an extensive research study conducted by Catholic Relief Services and Ciat which involved interviewing 40 farmer groups with over 1000 members on 3 different continents. 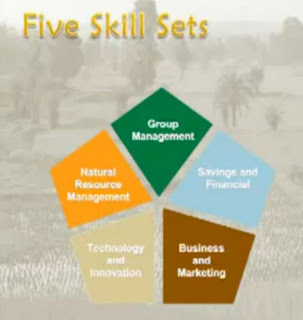 The 5 skill sets which are important for running a successful agricultural business are discussed in their video below. Neem trees survive for a period of 100 – 200 years and grow up to 30 metres high. They start producing fruit after a few years but they are fully productive after 10 years. 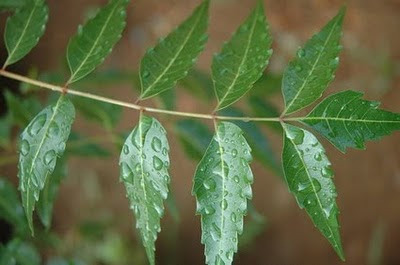 In swahili, the Neem tree is known as “mwarubaini” which means 40. This tree is named so because it is known to cure over 40 different diseases. Neem fruits are food for bats and birds. They eat the sweet flesh and spit the kernels out. Most farmers in Uganda annually face this scenario. During the rainy periods, there is plenty of food: beans, maize, bananas, pineapples and most farmers are forced to sell it at low prices because of an abundant supply of fresh produce in the market with low demand. 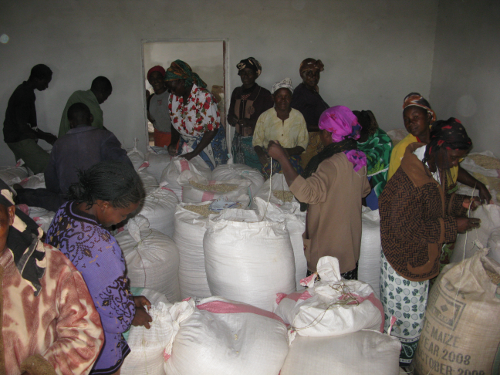 During the lean periods, the opposite is true, scarce food supplies prompting a high demand from the market. The high market demand comes along with a big increase in prices for food items which often catches the local farmers without anything to sell or instead having to buy food at these high prices to feed their own families! The Uganda Budget 2011/12 highlights and puts forward a number opportunities that a young farmer must grab to improve his or her business. If most Africans work in the Agricultural sector, how come it has to Import so much Food? If you follow world news, you must have seen the so many pictures of malnourished children that are playing on all the major news channels every year. This year, they especially mention the drought in Somalia, East Africa, Sudan, Congo. Presently, there is a raging drought in East Africa which is currently dubbed the "worst humanitarian disaster in the world" which is threatening to engulf the whole region. The World Food Programme expects 10 million people to require food assistance. Low quality tools, seeds and farming methods are affecting farmers' yields alot more today especially in Uganda. For instance, the Daily Monitor reports that there are a lot of fake seedlings and diseased plant seedlings being sold on the market today. As a young farmer, your agricultural business should be much better than that of your parents. You should be producing more than they did, earning more, employing more people on your farm, and thinking beyond using a hoe to till the land! Your parents lived much of their productive lives in the 20th century without much access to the knowledge and tools available to the youth today. They lived during a troubled period while today is more stable and calm for agricultural production. Many young farmers who are looking at earning an income through agriculture have "lack of capital" as their number one problem. Capital, they often mean is the seed money to start operations or expand their business. A youth farmer group in Ullepi subcounty of Arua district had Shs: 360,000 in their account (from member contributions). The group had 20 beehives, 10 from the Integrated Farmer Support Group (IFSG) of NAADS as seed capital (internal resource mobilisation), and another 10 from a PMA grant. Their own funds of Shs; 360,000 would enable them purchase another 10 beehives. A hive yields about 12-15 kilogrammes of honey each at Shs 1,100 per kilogram for the previous season and has no other major input, when compared for example with crop production. Against these facts the same youthful farmers are crying that their major problem is lack of capital! 1. Members - Encourage more youth to join the youth farmers group with a paid membership. This will increase the amount of money in their account which can be used to buy more beehives or to add value to the quality of honey sold by the youth group. 2. Skills of members - All the youth members in this group have different skills which can be tapped towards the progress of youth group. For instance some members could be skilled in using computers & Internet - hence they can help group with setting up websites, writing reports and training their peers to use computers. This way, the farmers group can develop much faster without unnecessary external spending. Members should fill a form where they fill in their skills, experience and level of expertise. 3. Business plan - this can clearly layout the financial position and future path that the youth in this group want to take. For instance, in a year there are 2 honey harvesting seasons. With the beehives producing to capacity, all beehives would yield (20 beehives x15kg x 2 =600kg of honey). An income of 600kg x 1,100/= would make the group 660,000/= richer! 4. Loan from bank - An organized youth farmers group asking for a loan with a clear business plan stands a great chance of receiving the money they ask for. This is easier now in Uganda considering that the government is trying to support the youth groups than before. 5. Sell to areas where honey is in high demand - For instance, in Kampala, 500grams of honey cost shs. 5,000/= If this youth farmer's group can transport the honey to Kampala, they would be making 10,000/= per kilo. This would leave them with an income of 600kg x shs. 10,000 = shs. 6,000,000!! 6. Add more value to the harvested honey - Adding value to the honey can be as simple as extracting it from the honeycomb and filtering it. Also it can be nice packed in small 500grams plastic bottles and sold in local supermarkets. 7. Extra services - The young farmer's group can consider offering other services to its members and the community at large. For instance, the group can set up classes on successful beehive farming, extracting propolis - very good cure of many diseases and illness, consultancy services on bee farming, workshops & seminars. These would contribute a steady income to the group including offering jobs to some members of this youth group. Are you a young farmer's group? What is your experience? Please share with us your experience about keeping beehive and combating poverty in your area. I have been privileged to travel through Uganda, Tanzania and Kenya not on holiday working with different non-profit organizations working to promote the use of Information and Communication Technologies (ICTs) among the youth. Organizations worthy of mentioning include ALIN-EA, Tanzania Telecentre network (a network of local telecenters sharing knowledge and experiences on improving their rural communities using ICTs) and a number of other here in Uganda. All of these organizations are keen on empowering the youth with ICT knowledge and tools to improve their well-being. This blog is therefore an opportunity to highlight the numerous experiences that the youth who are especially engaged in farming are using ICTs to promote their own living standards and those of their families. What is needed to attract Youth to Agriculture? YouthinFarming.org - Youth leveraging ICTs in Farming for better incomes. Watermark theme. Powered by Blogger.